Stefan Marjoram, The Beast of Turin and his latest project The Bloodhound. So why is Tom Fritz's work so appealing to you Stefan? People like him bring a whole new level to art. He brings something to it which a photograph can't achieve, or hasn't already been done in a photo. Sometimes you see someone who has just reproduced a photo and you kind of think, the photo did the job already. I like my art to bring something else to it that the camera can't. You can put your viewpoint in a place, where you couldn't put a photographer. Like Michael Turners work which is quite realistic but catches a lot of atmosphere because he places himself in very dynamic positions. He draws as if he was standing in the middle of the track which you could never do in the middle of a Formula 1 race. So he brings things to it which you couldn't do with a photo. That's why I think he is special. You do both art and photography but you seem to be moving more and more towards drawing than photography when it comes to cars. Well I still love and enjoy taking photo's and photography but it's a different process and I think ultimately it's a bit more rewarding to draw something than to photograph it. Just because it takes a bit longer and it doesn't always work out so well. It can take a bit more work and pain but when you get a good one at the end of it, it's very rewarding. Just the process of sitting in front of something for an hour or two and studying it in more detail, rather than just running up and thinking quickly about your composition and taking your photo and then moving onto the next thing. You absorb much more of what you are looking at and in that time, all sorts of people come up and chat to you. They tell you about their story of how they used to love drawing. I always try to encourage them to get back into it. All these things happen to you while you are sitting there, which is a lovely thing. You feel much more part of an event rather than just hiding behind the camera. 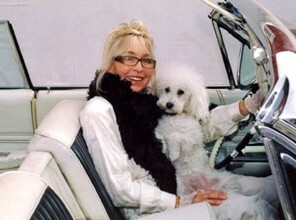 When you sit in front of a car, do you start drawing immediately or do you take your time before you start drawing it? I usually walk around the car first and choose the best viewpoint. Sometimes there is a compromise because it might be that the best place to sit would be where they are trying to start up another car. Or right in the middle of where everyone is going to be walking. I try to keep out the way to some extent, so that I am not going to be disturbed too much by people wanting to get past and I don't want to make a nuisance of myself. So it's a compromise of where I would like to sit and where I won't be too much in the way. I've got a little folding chair and I quite like low viewpoints. I'm quite unobtrusive. While you are in that process, what happens? Do you see more details which you emphasize on in your artwork? Yes, there is always that process of emphasizing on some things and leaving out others. In the beginning the first worry is getting the perspective. Roughing out where your horizon will be, putting in a few rough lines that will position your sketch on the page. Once you've got those rough guides in, you can almost visualize the picture there in front of you. You then start putting in a few key lines and rough out the shape of the objects, the wheels etc. By that time you have a very loosely sketched car and you can then assess if everything is in the right place. It's quite easy to make a small adjustment here and there if you have a good framework. Then the scary part is out of the way and you can just go in and absorb all those lovely details. But you have to leave some things out because it's just too busy to get everything in. So you decide which ones you are going to concentrate on and which are going to be a small suggestion. It's a matter of refining. It might be fine to leave it at that point or when the car comes back, you might be able to align yourself again and carry on where you left off. So it's good to work in that loose way. I tend to keep going around the picture working in and adding layers of detail. So it's very light in the beginning and in that way, you can always call it a day. You haven't worked too heavily, too early on, to not be able to go backwards again. Do you finish it there or take it home to finish in your studio? Most of my work, I sketch from live and I like to do it then and there. It may take an hour or so to do a water colour sketch but it's a nice challenge. Until recently, I found it quite difficult to work from a photo. When I got a commission from someone in America for instance, to draw their car, I had to work from a photo and found it quite unrewarding to draw from the same angle as the photo. I had that problem of reproducing something which was already there and did the job perfectly well. I wanted to redraw it from a new angle and bring something to it which wasn't in the photo. That of course made it take much longer because you would have to get familiar with the car to draw it from a whole new different angle. Sometimes it wouldn't work out too well or I would have to find out what were in the bits I couldn't see. So it was a longer process and the end results were never quite as satisfying as when I sat in front of the object and sketched live for an hour. I've since tried a few different techniques and am starting to get better. One thing which helps me is to try to imagine the car in motion. When people give me a photo, it's a static snapshot and I quite like to imagine the car zooming down the road at full speed with whizz lines and being a bit looser with it. I am happier with those end results, rather than drawing the static ones. 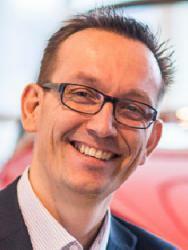 How important are the technical details of those cars for you? I wanted to be a car designer when I was younger. So the things that catch my eye are interesting shapes or beautifully designed things. I'm not really an engineer but I'm learning more from people who are building the cars in front of me. A couple of your drawing were of the engine only. Why is that? Sometimes when I am sketching an engine, I am hoping I can do something as good as the artist Bob Freeman, who used to do a double page illustration of an engine in incredible detail, in a magazine I used to read as a teenager. In the back of my mind, I am always thinking how good he was and it's my attempt to have a go at something he used to draw. You mention that you enjoy having conversations with people when you do car shows. What is the nicest experience you have had? I love it when children come up and sit next to me and draw. I sometimes swap pictures with them to try and encourage them. That's important to me. Sometimes the owner of a car will point out things on their car which they are not too happy about and don't want in the drawing. So you try to encourage other people to draw. What kind of advice would you have for someone who is just getting started in automotive art? A lot of people tend to think it's a natural born talent but I am not convinced that's true. I think it's about learning a few basic rules and sketching a lot to get better. Knowing which axis to put the elipses on is really important because you can really spoil a good drawing by having a wheel which is slightly off. Getting the right tilt of the wheel is important. The key point when I start a drawing is to look for a point on the car which is the same level as my eyes. So you put your eye line point on your piece of paper and that way you have a really good guideline for everything else. You can then divide it up into portions as to where for instance the windscreen will go etc. Add a few key guidelines which you know are correct and when you are happy with those, you put in everything else. How many times does the wheel fit into the length of the car or how many times higher is the car than one wheel. Those kinds of things. It's just a careful measuring process. The more of the lines you put in which you are absolutely sure about, the more accurate your final picture will be. I am hoping to put this process on my website. Check out this video of time-lapse sequences which shows you how Stefan approaches a sketch. See more time-lapse video's at the end of this blog. 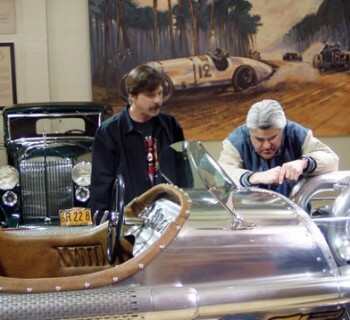 Both of your grandfathers were involved in cars. How did that affect you? I have fond memories of playing in the scrap yard at the back of my grandfathers' garage and the smell of oil and those kind of things. I have a couple of my other grandfathers' photo albums, some of which were taken with a camera he made himself. Although the photo's are very small, there is a huge amount of detail in them when you scan them in. Some of the photo's are of an Austin car which I recently showed to a person who told me that the Austin had recently been restored somewhere in London. I might try and find the person who has got it and go to him one day with the album and show him his car from ninety years ago. That would be fun. I am doing a Fiat film at the moment. It's called The Beast of Turin. It was started just before Christmas and I filmed the event happening and put a few clips up on the internet that evening. Within a few hours there were thousands of people watching it. After two days it got to 2.6 million. I've since had a few requests as to when the full version of the film will be made available and I hope it will be very soon. See the You Tube clip. 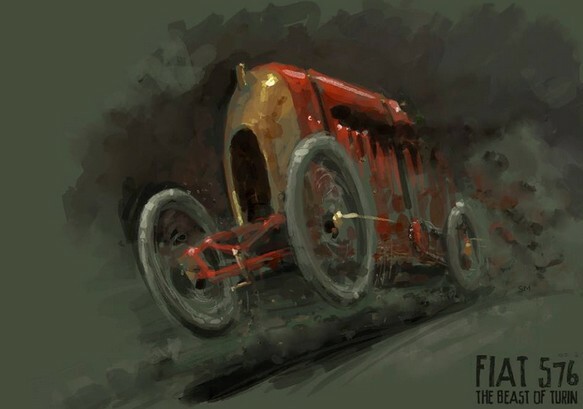 I have been sketching vintage cars for a few years and I met someone who put me in touch with a person called Duncan who was building the Fiat. He was happy for me to turn up when I liked and sit in the corner sketching and taking photos. I've been doing that now for the past four years. 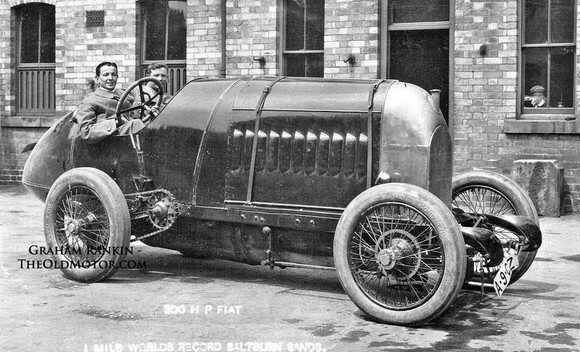 It's an amazing story because Fiat built two land speed cars in 1910. They set a few records 119 mph on the beach in poor conditions and a one way run of 134 mph at Oostende, Belgium. But they didn't manage the return run to make it an official world record at that point. Then the First WW broke out and the cars disappeared. Duncan found the remains of both cars. The engine of one in a shed in Italy and the mangled up chassis of the other car in Australia. It took him years and years to find those pieces and then he had to reunite them and then of course rebuild and find all the other bits that were missing. He had to make a new bodywork, gearbox, find replacement gauges and all the parts that you could still find from other cars from that era. It's a 28.3 litre engine and the biggest car engine ever built. A lot of people think it's an air ship engine because that was similar but it is a purpose built engine and it's amazing to hear it start up. This is why it's called the Beast of Turin. It's been a wonderful project to be a witness of. The other big project I have been working on for the same length of time is the current land speed car Bloodhound. 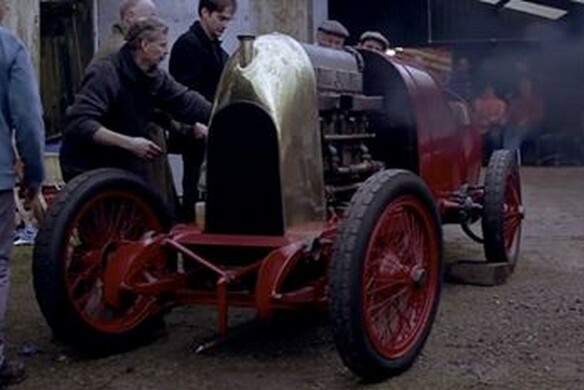 What is fascinating is that they are both land speed cars but separated by exactly a hundred years. You can see how engineering has changed in a century. My job on Bloodhound is mainly to make short films and take photo's. The reason why this car is being built is to encourage a new generation of engineers and to get children interested in engineering, science and mathematics. We are doing this by sending out ambassadors to schools who do rocket car projects with the children and balloon cars. They learn about jet engines and rockets and all these kind of things. Hopefully some of them will become engineers at the end of it. I started doing those a few years back when I came across a few people on line who were doing 'a picture a day' challenges. It's quite a good way to get you to work more regularly and not have periods of neglect. So I did a picture a day for a month running up to Christmas, like an advent calendar, and put a number of every car to reveal them day by day as a sort of surprise for people. It was also a good way to draw people back to revisit the website and good for publicity. They were done in postcard size and I did 24 of them. As it was Christmas, I charged 24 pounds including postage for anywhere in the world. They have become hugely successful and this is the third year I have been doing this. It's also interesting to see how my style has changed from being rather rigid to a more loose style. Also the angle of the cars. I have experimented with many different types of materials and tools but this last year, I have gone back to water colours and have drawn them from every angle and I'm really pleased with this last set. So you started your own tradition. Are your customers already waiting for them? They've always sold in previous years but this year it started to get a bit crazy. Whatever time I post them, the same people tend to get them. So I have tried to get those people to hold off a bit to give other people a chance. There are always a few people who miss out, so I draw a few extra for those people. In my first job for Mercedes, there is a photo of me sketching in the background at the Goodwood Revival. They had a reunion of the silver arrows and had five Auto Unions and five Mercedes Grand Prix cars altogether in one stand. Mercedes asked me to come along and sketch the cars. They then made prints and gave some of the originals to the people who brought the cars over as a thank you. That was a fabulous experience. Last year I went to the Festival of Speed to sketch their early grand prix cars from 1914 and also the red AMG Mercedes. They were launching a new modern AMG coupe and wanted to give all their best customers who were coming to the launch, a present. So they asked me to sketch the original AMG car. I made it into a print, framed them and they were given as a signed limited edition print. I am happy to hear you have these ongoing jobs, which is not the case for many other automotive artists. That's interesting because when I speak to other car photographers, they are finding it hugely difficult. It seems that no-one wants to pay for a photograph anymore. It's quite nice to see that illustrations are making a bit of a comeback. Illustrations in magazines died a death with photography and better printing which did away for the need of a nice illustration. Do you use digital techniques in your artwork? The F1 Mercedes with streaks was a live pencil sketch I did at Goodwood. I then worked over the top of it in photo shop which I quite liked doing. So occasionally I do some digital work which has come out of my i-pad drawing experiences. I used to be a computer animator, so there was a lot of drawing on the computer involved. I always dreamed of having a portable photo shop to sketch on outdoors, so when the i-pad came along, it was the perfect solution. You still apply the same rules but it's a different tool. Depending on the type of tool I am using, the drawing comes out different. When using an i-pad, you can't be so precise. It's just like using a different kind of pen. The computer isn't doing anything special for you. Painting digitally has some advantages. The nice thing is you can undo and work in layers and go back if you have done something terrible. It frees me up to be more experimental and sometimes get more interesting results. Do you have a dream for the coming five years? Is there one kind of drawing you would love to do. Any specific Car? I am trying to work bigger. Five years ago, I was working in very small sketchbooks and my work was very small and tight. I gradually worked up to A4 and am now at A3. I am working looser and bigger and am trying to work up to bigger sizes still. I need to do a lot more of Bloodhound which is being reassembled with thousands of spectacular detail. So I am going to try to assign some time each week to do a nice drawing, so that by the time the car is finished, I will have a really good collection of how a land speed record car is built. That is my forthcoming challenge. I don't do too much planning, I tend just to do things and see where it takes me. I am working on a really interesting job at the moment which I can't reveal but it's for a company who is building some new old cars and the owners of these new cars will be given a book in which some of the sketches will be done by me. That is a great thing and really exciting. WATCH THIS SPACE to find out more about Stefans' latest project and 'The Beast of Turins' re-attempt at a world record in Oostende this summer! Visit Stefan Marjorams website and Facebook. Check out his You Tube time-lapse video of a Carburettor sketch and his time-lapse iPad sketch.